Eason Kamander's blog: Boom, Bang, Tick, Stomp! This weekend my family and I went to see the show Stomp! There where ten fabulous performers. They all did many different individual scenes. The scenes all involved some sort of irregular instrument, such as a garbage can, a basketball, or a matchbox. 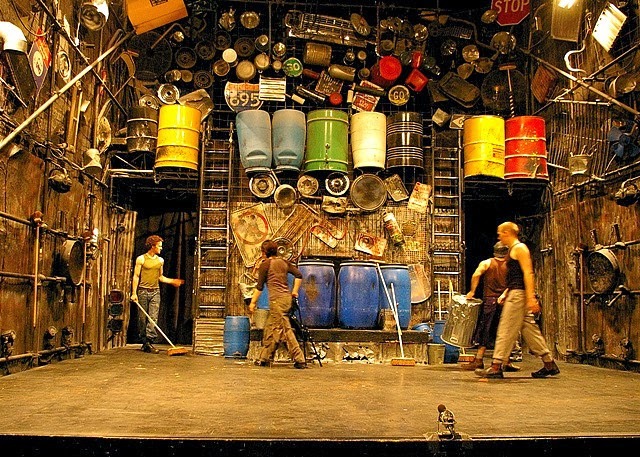 Stomp is a very inspiring play that demonstrates one thing in this world that you don’t have to pay for, music. There was one main character that I liked. There was someone there who could shake out his hand and the banging of his fingers could be heard throughout the room. The room was set up to look like A poor, run down train track. In the story there was a character that would always be left out of the fun. He definitely did a good job as an actor. He was my favorite actor. The show can be represented by 4 “S” words: smashing, slapping, slamming, and of course stomping!